The Hornets will be looking to maintain their perfect start to the season as they host the Red Devils at Vicarage Road on Saturday. Watford play Manchester United at Vicarage Road on Saturday and will undoubtedly be eager to extend their run of wins against Jose Mourinho’s men. After a perfect month of August was backed up by a thrilling 2-1 victory over Tottenham Hotspur nearly two weeks ago, Watford now have the chance to make it five wins from five in the Premier League as they face an out-of-sorts United side. 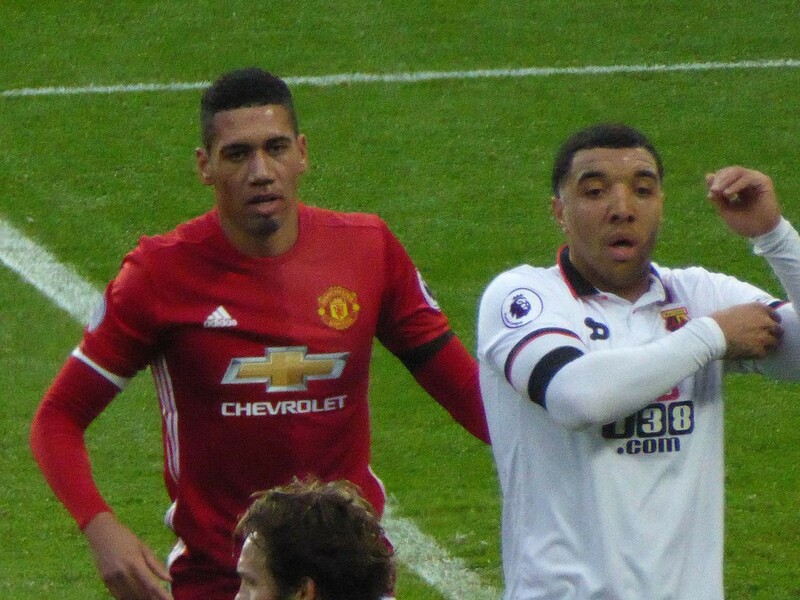 With their perfect record still intact, and their opponents in a rather gruelling predicament which has created a degree of toxicity and negativity around the club, Watford will do well to find a better opportunity to beat Manchester United than this. The Hornets have been subjected to a wealth of praise and appreciation for their remarkable start to the season. The focus of many media outlets that cover the Premier League has been Gracia and his meticulous, orthodox style of management. Such is the recognition of Watford that many are beginning to speculate just how far the team can go over the course of the 2018/19 season. This is the perfect chance for the Hornets not only to prevail over one of England’s elite clubs for the second game running, but also to establish themselves as a side that genuinely believes in their ability to continue this extraordinary start to the season. Once again it would appear that a United with Mourinho at the helm just doesn’t feel like Manchester United football club. The negative football, energy and persona floating about the Portuguese is concerning and simply not what many would associate with such a historically strong force in English football. Wins over Leicester and Burnley have been overshadowed by humiliation: first at the hands of Brighton, then the ruthless nature of Tottenham. However, while all the pessimism and underwhelming performances trudge on, it’s easy to forget that 33 games of football still lie ahead — the Premier League has only just started. United have the quality in their ranks to turn this vein of form around, starting with a visit to Hertfordshire. A victory at Vicarage Road, which has become something of a fortress of late, could provide just the tonic to spur Mourinho and his player onwards. While United’s last visit to Watford ended in a 4-2 defeat for the Hornets, the one before was far more memorable for the yellow army. The hosts ran out 3-1 victors, with goals from Etienne Capoue, Juan Camilo Zuñiga and Troy Deeney securing the Hornet’s first win over United in no less than 30 years. The noise which boomed from the stands in Watford’s win over Spurs has been recognised as a major contributing factor in helping the team turn the game on its head and earn all three points. Over the international break, the club have worked closely with Watford’s most fanatic supporter group, the 1881 Movement, in order to ensure such an atmosphere is achieved right from kick off on Saturday. All four stands will have a theme and physical items to uphold, such as flags in the Graham Taylor and Rookery Stands and yellow and black t-shirts in the Sir Elton John and Family Stands, all of which are intended to encourage a sold out Vicarage Road to get behind the team on what could be a truly memorable day for the club. Watford’s only injury concerns are Gerard Deulofeu and Tom Cleverley, who are officially ruled out fo contention. Gracia is therefore expected to name an unchanged side from the eleven that defeated Spurs. The story is not so straight for Mourinho. Left-back Luke Shaw could be involved after his unpleasant head injury suffered on international duty with England, while Marouane Fellaini will face a last-minute fitness test. Midfielder Ander Herrera is not able to feature due to an ankle problem, and Marcus Rashford will serve the first of the three-game ban he acquired against Burnley. Watford - Foster; Janmaat, Kabasele, Cathcart, Holebas; Doucoure, Capoue; Hughes, Pereyra; Deeney, Gray. Manchester United - De Gea; Valencia, Smalling, Lindelöf, Young; Pogba, Matic, Fred; Lingard, Lukaku, Sanchez.